Learn simple and effective methods of water purification. You can live 3 minutes without air, 3 days without water, and 3 weeks without food. Clean drinking water is a necessity. You can do some simple things now so that you don’t get thirsty later. What are the chances of a disaster? Man-made and natural disasters are increasing exponentially. In 1960 there were 50 disasters worldwide, and in the year 2005 there were 800. Looks like something could possibly happen to us sometime. That's why its important for you to learn the methods of water purification. You don't want to be without clean water. When there is a disaster, the devastated areas always need clean water right away. Over and over, you see a certain number of people are killed or injured by the disaster, but many more times they die from unclean water. Have you ever lived without clean running water? I have. Here are some simple and important lessons that I learned about using and saving water. A little preparation goes a long way. Where do I store my emergency water supply? You might be wondering, "Where am I going to put all that water?" We've found some creative and practical ways to store an emergency supply of water. No matter how much water you store, you WILL eventually run out. 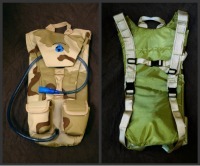 Here are five methods of water purification you can use in an emergency situation. The best emergency water filter is a gravity water filter because it doesn’t require electricity. Gravity water filters can get pretty pricey. 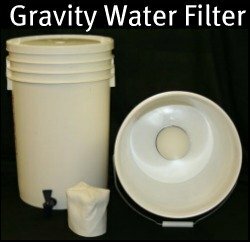 That’s why I was so excited to find a simple, inexpensive gravity water filter that has been tested and proven effective. It filters out 100% of Giardia, E. Coli, and many more harmful substances. Click here and I will tell you all about the gravity water filter. 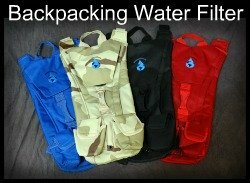 It's a complete filtering system in backpack form. Inside there is a 3-liter bladder with a ceramic filter attached. Dirty water passes through the filter and out the attached tube to a bite-down mouthpiece. DO NOT use this filter sock as a stand-alone filter. 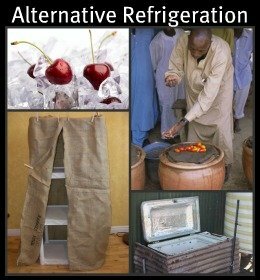 But it is a great addition to other methods of water purification. You can use this filter sock in your 72 hour kit, for backpacking & hiking, and to preserve the life of your ceramic gravity water filter. It filters out particles down to 1 micron. 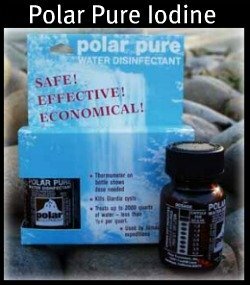 Used in conjunction with iodine, it now becomes another water filtering device. Boiling water kills ALL the pathogens (germs) in the water. 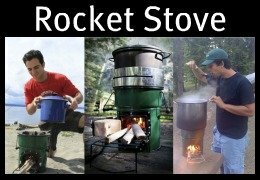 But don’t use your valuable fuel to boil your water. 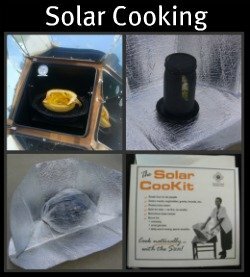 On sunny days you can use your solar oven to pasteurize your water. You can use iodine tablets or liquid iodine, but they have expiration dates. I found iodine crystals that have an indefinite shelf-life. 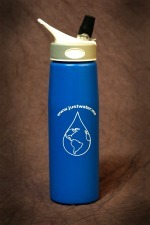 One small bottle will purify 2,000 quarts of water. There are lots of places you can find water: rivers, lakes, canals, wells, rain, dew, snow, or ice. Basically wherever there’s water. It's nice to have more than one way to purify your water. 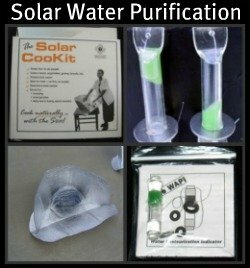 It's a good idea to learn how to use all the methods of water purification. 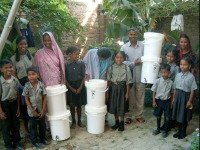 This portable water filtration system is a simple and effective way to bring that safe water to you and your family. 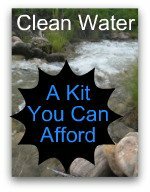 For $175 you can buy a water purification kit. 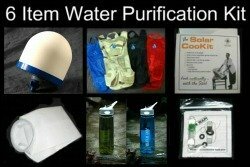 It comes with a: gravity water filter, giant water filter sock, backpacking water filter, water bottle with filter, and a pasteurization indicator, solar cookit. 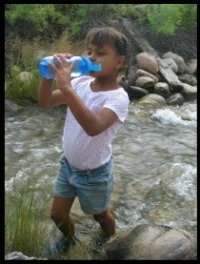 The following website has great information on "How to Find Water & How to Make Water Safe to Drink." The material is copyrighted but you can use it for educational purposes. Go to www.Grandpappy.info and print the pages and put them in a notebook. Store this information with your water purification kit. Even if you don’t have time to read all of it now, you will want this resource if you find yourself in an emergency situation. Normally you don’t have computer access during an emergency, so don’t only store it on your hard-drive.